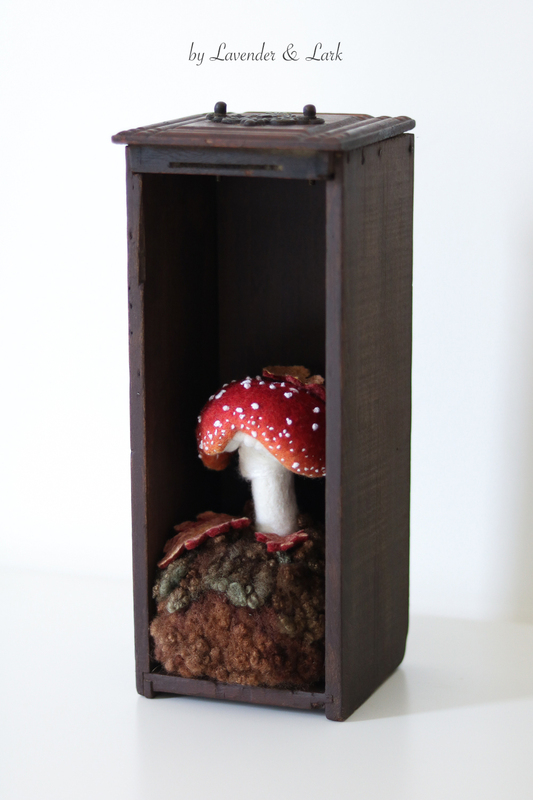 This little collection of three needle felted toadstools sit hidden away in antique sewing table drawers. They were inspired by the beautiful warm colours of autumn, and can sit on a table or be hung on the wall. They will be available in my shop this evening, September 20th, at 9PM ADT. Each piece will be sold separately, they are $200 USD (plus postage).